One of the laziest things a brewer can do is make a blonde style beer (ok, not that part, that is kinda interesting as it's an underappreciated style) and then slap a label on it that features a (usually tastelessly buxom) blonde woman. It's been done a billion times before and even if it was the first time anyone had done it, it's still on the nose and not very clever (and that's before we get into how classy the artwork is). And yet... this beer manages to swing it. First, the design is great, a well composed silhouette in black. So how do we know it's a blonde? Well, Realerevival (a sorta play on Real Ale Revival, abbreviated RAR) is located in Maryland and if you remove the "d" you get Marylan, which sounds like Marilyn and I knew that face looked familiar! Gentlemen prefer blondes. It's on the borderline, but I'll allow it. What? Because my opinion matters, that's why? No? Well, you're right, so let's just fire up WinRAR to compress some files, shall we? Beer Nerd Details: 5.2% ABV canned (16 ounce pounder). Drank out of a willibecher glass on 6/10/16. Take a peek out of the venetian blinds, grab yourself a trench coat and a fedora, cuz it looks like a femme fatale's on her way to your office with tales of a dead body in a farmhouse where they just happen to make beer. 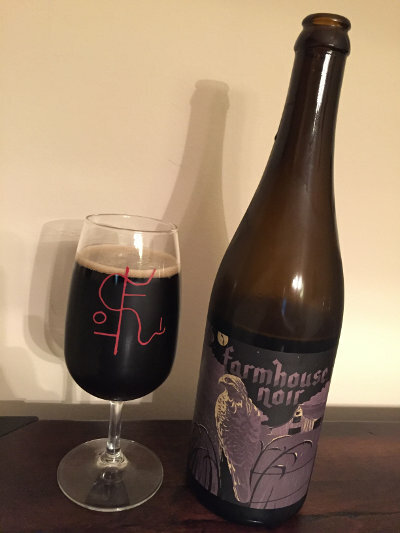 Alright, so "noir" is just French for "black" and this is a dark saison, but come on, noir movies are fun. And hey, isn't that a maltese falcon on the label? Probably not, but give me this. 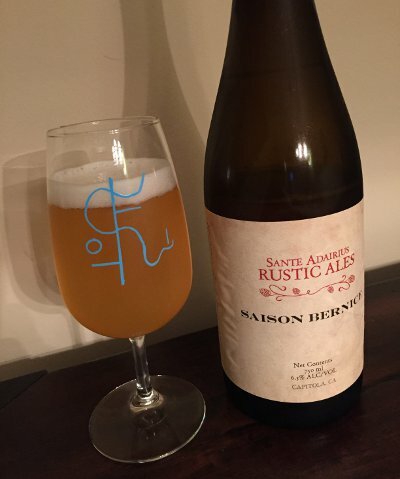 It turns out that this beer, a funky saison made with dark malts and oats and fermented in oak, is actually a component in the blended Love's Armour, which just happens to be my first Sante Adairius beer ever, so let's dig into this mystery. Venus Callipyge is an ancient Roman statue depicting a partially draped woman with her head looking back and down, as if to evaluate her bare buttocks. Little is known of its origins or the original artist. Indeed, it is thought to be a copy of an even older ancient Greek statue, also of unknown origins. Let's just call the original sculptor Sir Mix-a-Lot, to recall a more modern appreciator of posteriors. 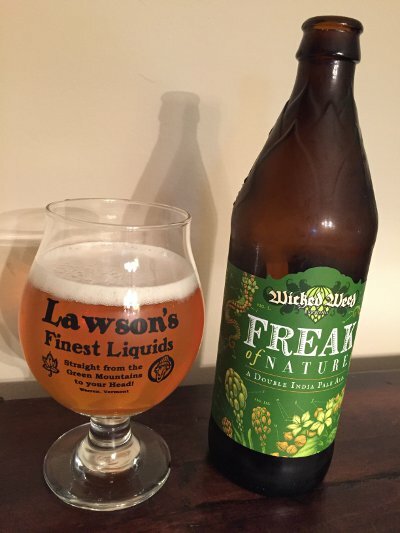 Beer Nerd Details: 17.4% ABV bottled (12 ounce). Drank out of a snifter on 6/3/16. Bottled: Apr 25 2016. Production: 1174 Cases. So it's called "Black Label" despite the fact that the label is clear? Well, ok then, fine, be that way. What we have here is an oude geuze blended to commemorate the brewery's 40th anniversary. 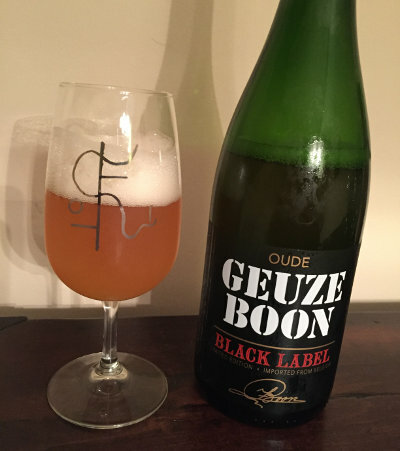 It's indirectly the result of a collaboration with Mikkeller, but since the barrels that Mikkeller blended were not empty, Boon decided to put out their own version. The resulting beers should be similar, but since the blends use differing proportions, the results are slightly still distinct. 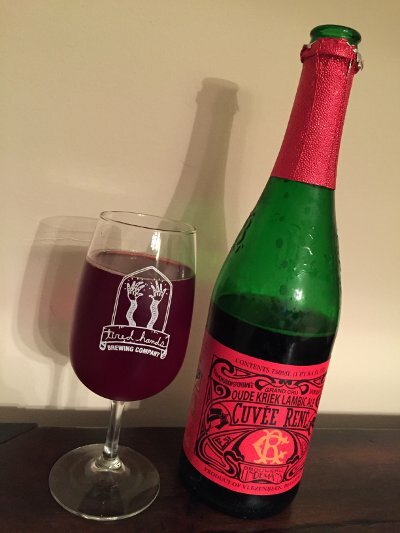 Mikkeller's goal was to blend a lambic that was as dry as possible, almost 100% attenuation. However, the Black Label contains less older lambic (it's still got 1, 2, and 3 year old lambic in there though, so no worries) and is thus more full-bodied and slightly less dry. Beer Nerd Details: 7% ABV bottled (750 ml caged and corked). Drank out of a flute on 5/29/16. Bottled on: 26/03/2015. Best by: 26/03/2035. I hesitate to say that this is something that you'll see on shelves since this sold pretty quickly around here. Not, like, people lining up for it, but I got the last bottle a couple days after it went on shelves. I'm sure it's around elsewhere and I'd like to see how it ages, so I'm going to try and track down another bottle or two. Boon continues to be a nice solid option when in need for a lambic fix. 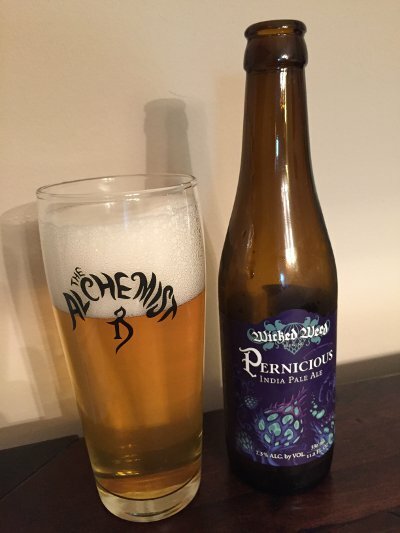 Not as good as the big two (3F and Cantillon), but generally available... and sometimes you can find specialty variants like this one, which is nice. Stay tuned, we've got another Belgian wild ale review coming later this week! Delaware County is a weird place. I say this as a man born and raised there. Blue collar with lots of Irish Catholics (I wen't to St. Dot's and Cardinal O'Hara). I'm surprised there's not a Delco flag. It's weird for a place to choose its identity based on its county, but Delco is a way of life. Apparently. Alright, fine, I'm exaggerating for effect here, but there is something a little... off about Delco. The point is, when a brewery opens up there, you can expect them to embrace their roots and take pride in their county. Whatever that may be. 2SP is the recently opened (er, last year) brewery arm of Two Stones Pub, a small chain of solid little beer bars located mostly in Delaware. Head brewer and Delco's native son Bob Barrar made a name for himself brewing for Iron Hill Brewpub in Media, earning numerous medals at GABF and other big contests. One of his most famous creations is Iron Hill's Russian Imperial Stout, a beer that he's adapted for new life at 2SP. 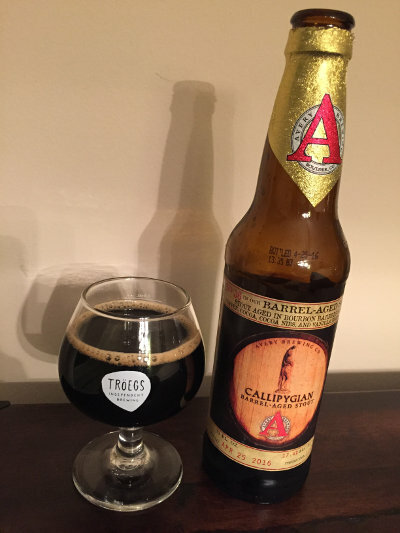 As local imperial stouts go, it's great and I look forward to seeing it around more often. Now they've put it in Bourbon Barrels and aged it for 8 months? Sold, even if it is a pricey bottle. I've often mentioned the need for a more regularly available local BBA stout; will this beer fill that need? Well, maybe? Beer Nerd Details: 9.5% ABV bottled (750 ml). Drank out of a snifter on 5/20/16. Batch No. 001. Bottle No. 459. I've generally enjoyed everything I've had from 2SP, so I'm looking forward to keeping tabs on them in the coming years. 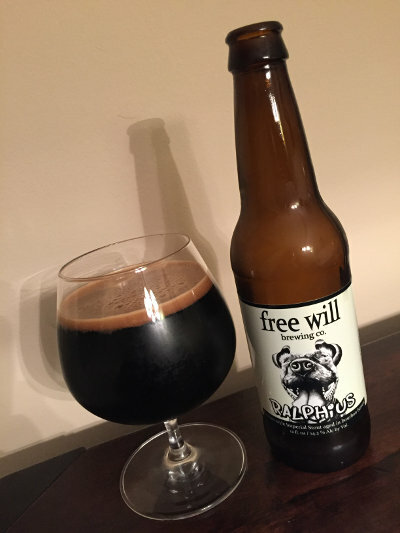 As for a world class local BBA stout? This isn't quite there yet, but we've got another candidate coming soon. Stay tuned. Beer Nerd Details: 8.5% ABV bottled (500 ml). Drank out of a tulip glass on 5/20/16. Bottled 05.03.16. 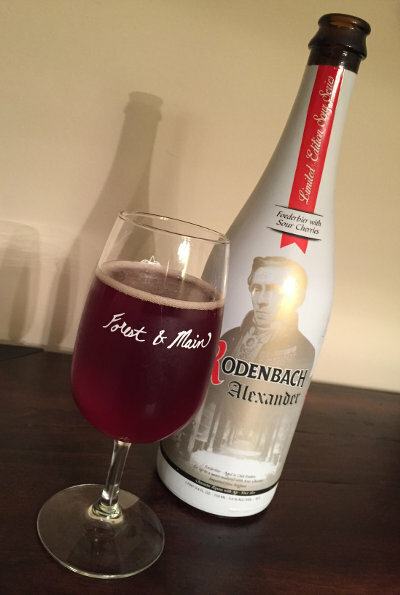 I think my first lambic evar was a draft pour of Lindeman's straight up Kriek. It was not a great beer... and it still isn't particularly good. Why? It turns out that the process for the regular kriek is to take young lambic and add cherry juice and artificial sweetener. In the past, this included something called Acesulfame K, which I know sounds delicious, but is actually pretty gross. These days they use Stevia, but it still tastes odd. It's a cheaper process and thus the beer is more widely available, but then all these sweetened lambics basically taste like sugary Robitussin. Beer Nerd Details: 7% ABV bottled (750 ml capped and corked). Drank out of a flute glass on 5/13/16. Bottled 12 Aug 2015. When I was in college, my friends and I were on the Campus Activities Team (I ran the movie program, natch) and we had this (in retrospect) utterly bizarre habit of designating office supplies with old-people names. Of particular note were tape dispensers named Phyllis and Gertrude. I don't think we had anything named Bernice, but we certainly should have. I'm... glad I was able to write about this, and I know you are too. Beer Nerd Details: 6.5% ABV bottled (750 ml). Drank out of a flute glass on 5/6/16.